Nova Repeater features the same great sound quality that made the Nova Delay the first choice delay pedal for the likes of Paul Gilbert, Doug Aldrich, Nils Lofgren and Allen Hinds. Despite this success, we have since listened to feedback from our guitar-playing community and trimmed out the excess baggage while also including additional features that are not found in that the Nova Delay. In short, Nova Repeater is the essential mean, lean, delay-machine! Nova Repeater features six delays types, mono in and stereo out, a dedicated tap-tempo switch, audio tapping and a ‘Killdry’ switch. It also sports a handy multi-function pot, enabling you to personalise your sound with a range of chorus and vibrato effects — great for U2-style ethereal effects or the emulation of tape wow and flutter. And with this being a TC Electronic pedal, you already know that these are top-notch modulation effects that will satisfy even the most discerning ear. Turning the modulation pot clockwise will gradually add more chorus, while turning it counter-clockwise will add increasing amounts of vibrato. That’s right — vibrato has been added to Nova Repeater, an inclusion resulting from feedback from our dedicated guitar effects user base. Nova Repeater has two inputs matched for instrument and line level signals. In other words, Nova Repeater works equally well in front of an amp or in an effects loop. And with 1200ms of delay you are sure to have enough time to keep everyone — from gentle soundscape creators to slap-heavy country pickers — tapping their feet. Nova Repeater lets you focus on playing, not spending your every waking hour trying to dial in the delay times that match your ideas. Nova Repeater features three delay time ranges labeled for both min, mid and max positions. These delay times have been carefully chosen to match the sweet-spot times used by most guitar players. Nova Repeater also features dedicated settings for studio, analog and tape echo sounds, with a brand-new and advanced tone control that allows you to fine-tune how extreme the chosen effects are. That way it becomes simple to meticulously adjust the delay sound further so Nova Repeater always delivers exactly what you are looking for, but the initial set-up is quick, intuitive and musical. 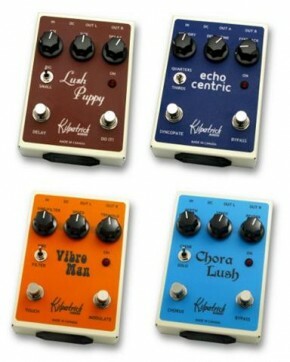 Nova Repeater also features a “Killdry” switch, yet another example of our ‘for guitarists, by guitarists’ philosophy. We always listen to our users and this feature was a major request from our Nova Delay users. The Killdry switch completely kills the dry sound and only outputs the wet signal from the pedal. 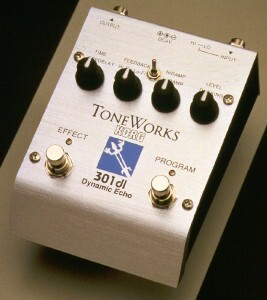 This allows you to use the pedal in a parallel fx-loop or mixer without getting phase problems. The FX Level pot on Nova Repeater only adjusts the delay level without messing with your dry tone. This means no more annoying level drops when engaging your delay. Nova Repeater features six delay subdivisions. First off there is a brand new dual delay type that’s been requested by numerous users: Combined 1/4 notes and 1/8 is guaranteed to quickly give you those classic 80s L.A. studio sounds. Finally, Nova Repeater features a comprehensive set of tap tempo and audio tapping features. In fact, Nova Repeater is the only pedal in this price range to feature a dedicated tap tempo switch, and the audio tapping is the same as that found on Nova Delay, so allows you to set the tempo with your playing. All delay subdivisions work in conjunction with these tap tempo and audio tapping features. The Nova Repeater delay retails at $150 USD and will ship starting April 2009. Find used instruments by using our exclusive Gear Search service.